I still remember watching Dawn of the Dead for the first time. I had come across a copy at a Best Buy and spent a lot more than I should for it. I barely got it home and immediately popped it in. It was very different than my mind had expected. I hadn’t expected horror to be so artful. The world is ending. The dead are rising up and attacking the living. As the news station WGON is running out of steam, Stephen (David Emge, Hellmaster, Basket Case 2) and Francine (Gaylen Ross, Creepshow, Madman) escape in the station’s helicopter alongside SWAT officers Roger (Scott H. Reiniger, Knightriders, The Other Victim) and Peter (Ken Foree, The Devil’s Rejects, The Lords of Salem). When the four arrive at an abandoned mall, they set up shop and create a life for themselves as the dead lurk outside, constantly trying to break in. 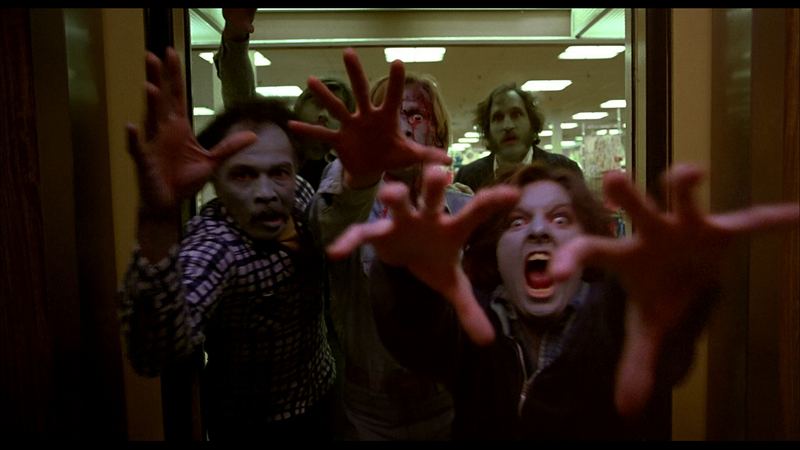 Fun fact: Filming at Monroeville Mall took place overnight when the mall closed and ran from 10:00pm to 6:00am. It would have been longer but at 6:00am the Muzak would come on and nobody knew how to turn it off. The story of Dawn of the Dead‘s production is actually almost as good as the movie itself. But the movie. This movie is amazing. It took several viewings for me to see Romero’s comic-book influences, which becomes evident with the director’s stylish flourishes, dry comedy, and vibrant blood. The performances of the four leads need to be good enough to maintain this film’s through-line and they do. 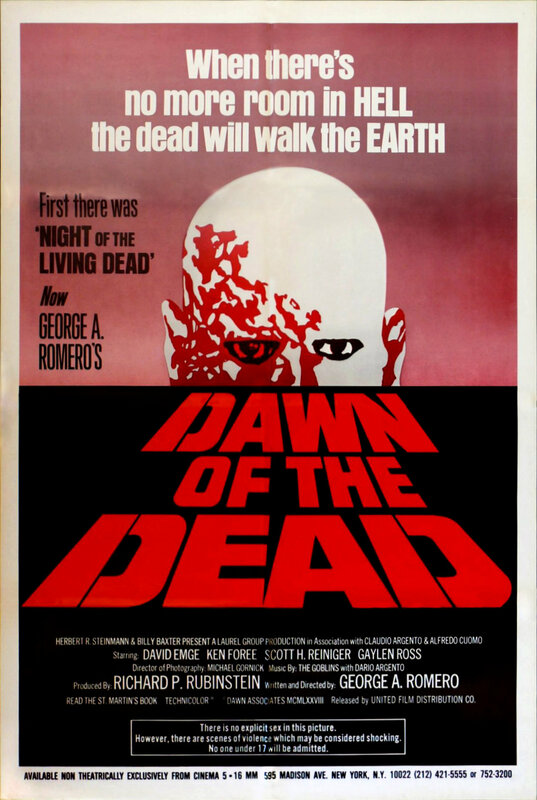 Each character is developed through their decisions, and George A. Romero (Bruiser, The Dark Half) offers up some social commentary among the gore. 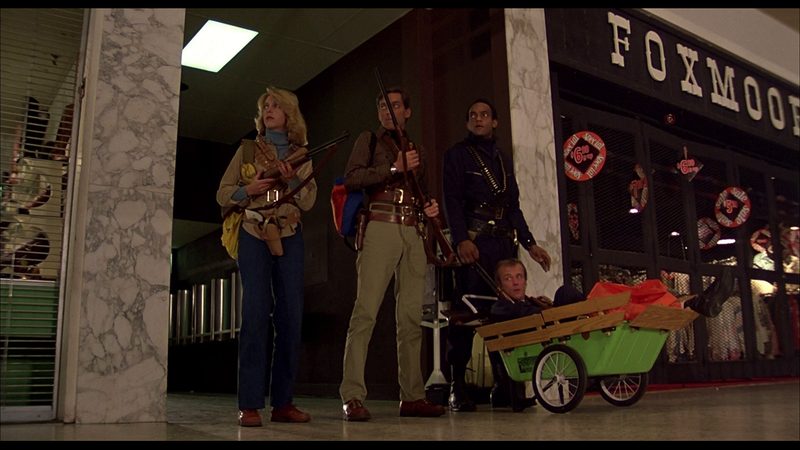 Unintentionally, Dawn of the Dead also features a tremendously strange and memorable score due to Goblin and Dario Argento (see yesterday’s Suspiria). It was through the partnership of Romero and Argento that both careers at the top of the genre for so long. Dawn of the Dead is horror at its best. Each part of his Living Dead series has its own unique style and characters and Dawn of the Dead is one of the best (even if I prefer the far more depressing Day of the Dead). A great follow-up to Night of the Living Dead, there are parts of this sequel in just about every zombie story to come after, but rarely is it done this well. For my review of George A. Romero’s Night of the Living Dead, click here. For my review of George A. Romero’s Monkey Shines, click here.